I know I'm kinda late on my sales wishlist, but that is because at first I didn't plan to go shopping this month. My agenda just didn't offer me a free spot, since every weekend in january is already fully planned. After a quick look on several sites, I noticed a little disappointment inside. I NEEDED wanted to go shopping! After some scheduling, I found a free spot on the first of february, so I'll probably go shopping then. Since I'm such an organised and absolutely not chaotic young man (sarcasm intended), I wanted to make me a little shopping list. For 2014, I have one big resolution and that is to buy more quality instead of quantity. I'd prefer one great sweater over three 'good' ones. I also want to invest in some basics like perfect leather jackets or a trenchcoat. Since quality mostly comes with a higher price card, what better time to start shopping them in sales? Here are some of my favorites. COS is one of my favorite shops ever. The fabric of most of the garments feels so luxurious and great, and the price is still quite affordable, but who doens't love a good discount? 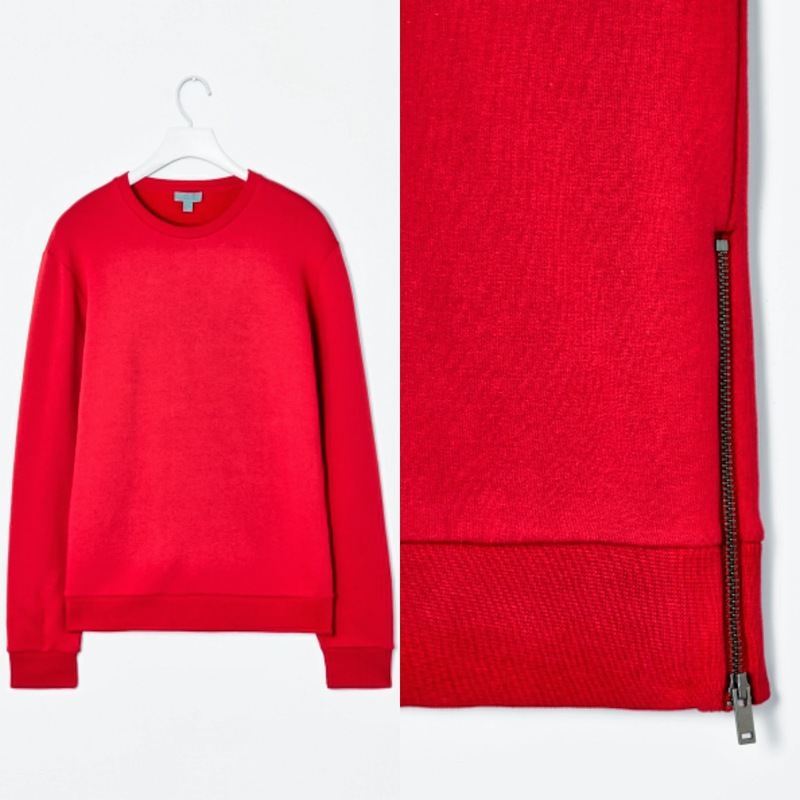 I'm normally not really a red kind of person, but I must say that I really adore this sweatshirt with the zip detail on the sides. Typical COS: classic with a touch. 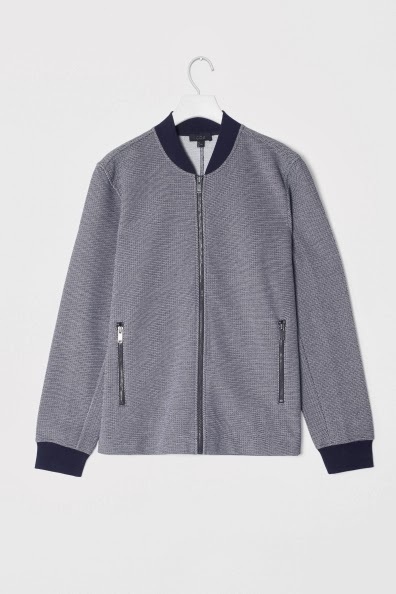 I also like the bomber jacket below. Feels like an absolutely amazing basic! 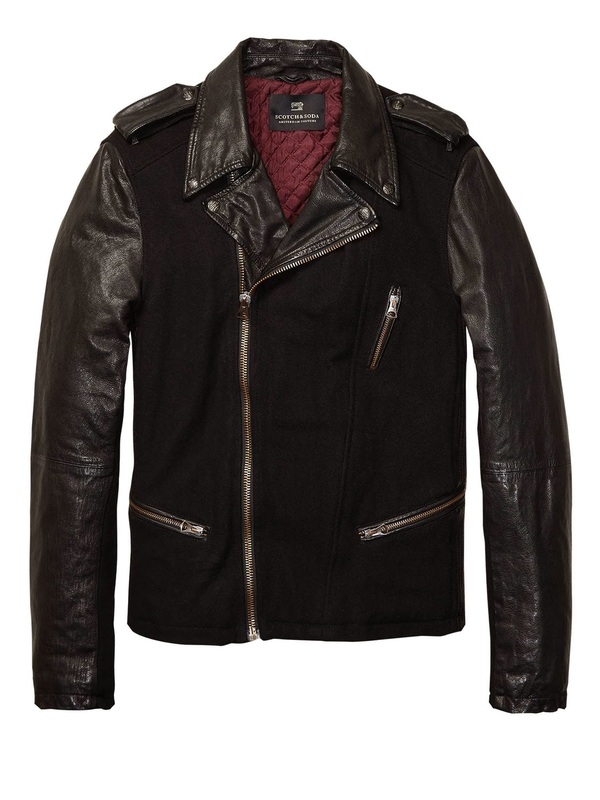 This Scotch&Soda wool/leather jacket has it all. If I could, I'd wear it every day, all day, all my life. It puts the perfect amount of rock and roll to an outfit. Straight into my closet please! 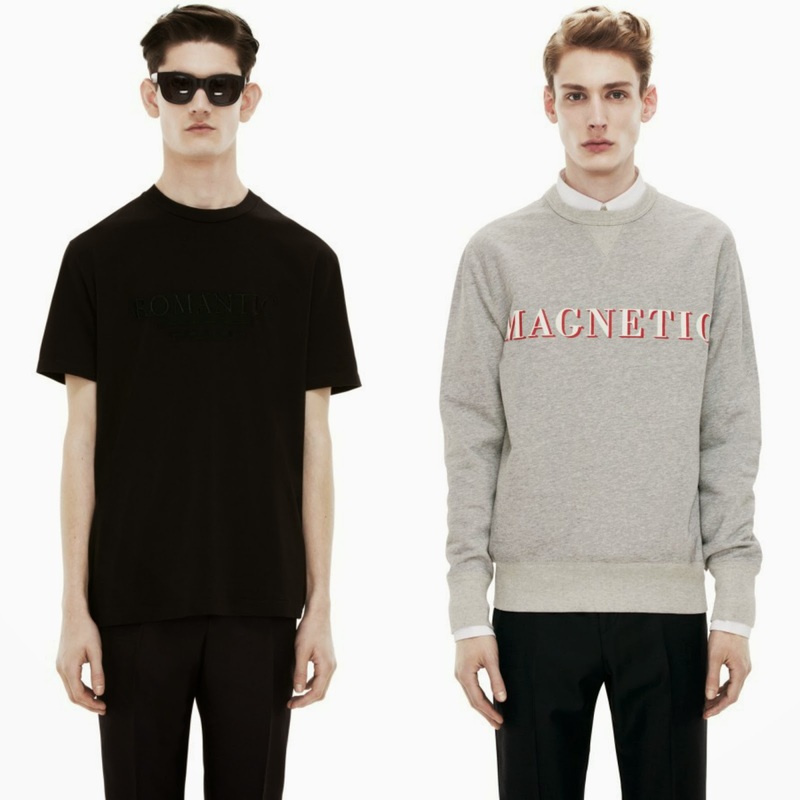 ACNE is like the king of great knitwear/basics/sweatshirts with a twist. I L O V E this black shirt with a subtile embroidery on it saying 'ROMANTIC'. Yes I'm quite sweet some times. The sweatshirt on the right is like my absolute favorite of this list. I saw it when it wasn't on sale, but I didn't buy it 'cause I found it a bit expensive. It is now on sale for only 90 euros and I am strongly considering buying it. Thoughts? For pants/jeans, I think that Scotch&Soda is the brand that pleases me most. It offers both great basics and edgy, daring trousers, something I very like. 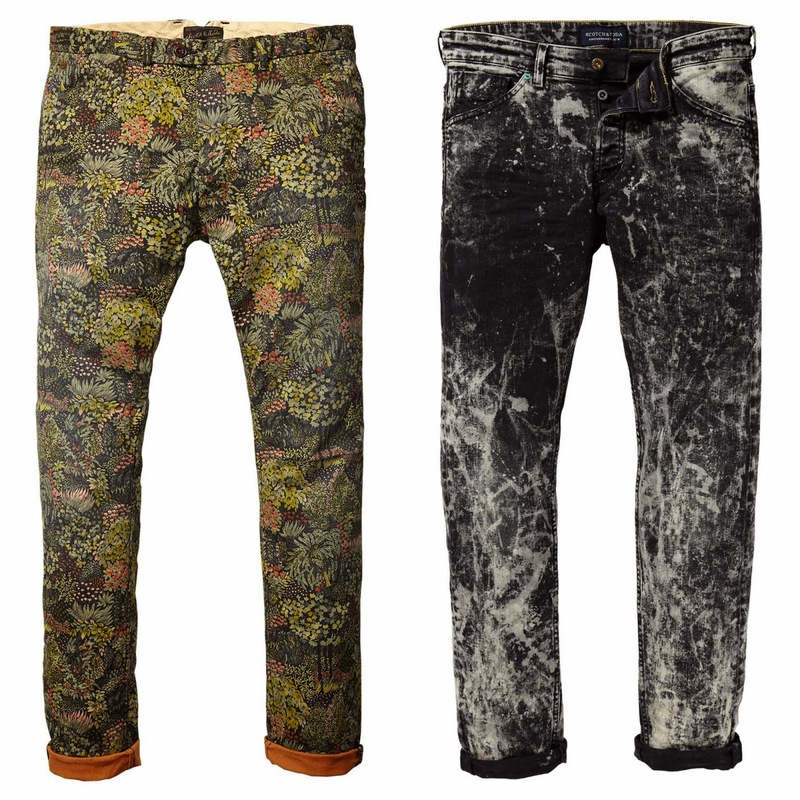 I can definately see myself strolling around the streets wearing the pants on the left this summer, while the jeans on the right is just plain awesome and badass. How cool is it? That's it for my sales wishlist, but as I know myself, I will probably end up buying a gazillion of other things that are not up here. But hey, I will try to contain myself!